Birthdays may happen every year, but they are still special occasions worth celebrating. Surprise the man or woman of the hour with a custom banner that includes graphics and photographs that highlights memories. When they walk into the room, they will be surprised with large happy birthday signs and feel loved by the thoughtful gesture. 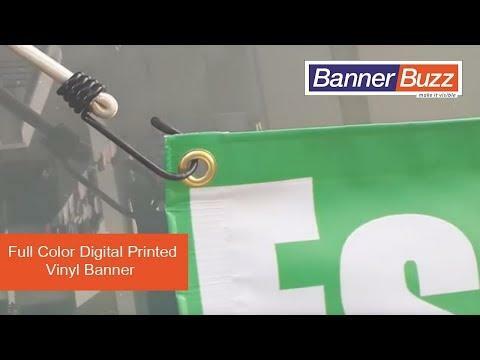 With high-quality birthday banner printing products that can transfer images at 1,000 dpi, BannerBuzz can guarantee that guests will be able to see the vinyl banner from across the room, even into the street through the party venue's windows. Whether the birthday party is at a function hall, outdoor park, house or restaurant, you are able to personalize the space through the vinyl banner. How the custom birthday banners will look is totally up to you. 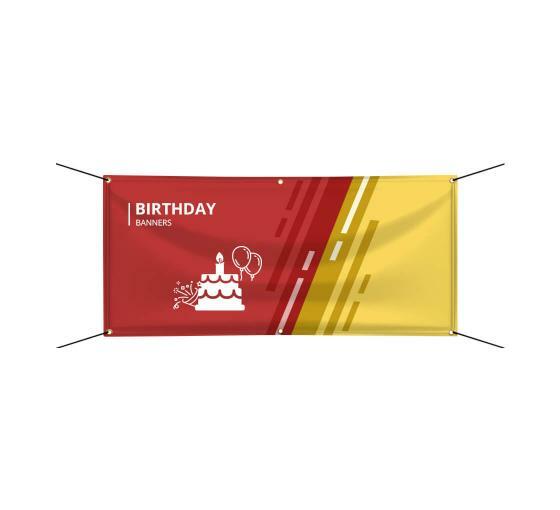 With our birthday banner printing service, we can match any party theme or color scheme through our gallery of templates or our custom banner web application. Made right from scratch, your banner will enhance the birthday party experience. Because our custom birthday banners can come in many sizes, save room for inside jokes, messages or anything that will highlight the individual's birthday. Our professional designers will make sure that these custom birthday banners look polished and outstanding for everyone. Because they are made of weather-resistant vinyl, they are built to last for at least six to seven years. Let BannerBuzz help you cherish these memories with loved ones and friends at the next birthday party. During our birthday banner printing process, we can offer a free art proof at your request as well, to ensure that everyone is on the same page!